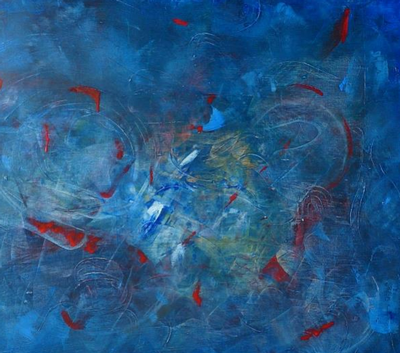 Language without out words is a collection of oil paintings on canvas that represent a body of work inspired by a combination of sources, one of them being music. The sound and rhythm of the genres of music provides an element of stimulation whilst I create art. Music inspires me to express myself with freedom and energy; it manifest itself into exciting forms on the canvas as symbolisms of rhythm and movement through the use of vibrant colours.